Because rent is the single largest payment some businesses will make every month, a business owner of any kind must make sure not to leave money on the proverbial table. The largest investment your business makes should be researched, reviewed and then researched and reviewed some more. Nothing caused more concern and consternation, especially at the inception phase, than the lease. I’ve represented restaurants and bars in almost every legal matter imaginable. I have advocated for my clients before alcoholic beverage regulators and community groups, successfully defended evictions on behalf of restaurants, bars and lounges. And, of course, I’ve negotiated lease agreements and other vendor agreements for my clients. Before going to law school, I worked for my uncle’s multi-location restaurant chain in Washington, DC. At that time, they were expanding greatly and I had a front-row seat to the chaos that needed attention. Crisis management was the term de jour anytime a new location opened or a human resources issue popped up. However, nothing caused more concern and consternation, especially at the inception phase, than the lease. In many ways, a lease is an arcane document often intended to confuse the parties to induce its execution. Given the dizzying complexity of a typical lease and the immense consequences that can flow from entering into a bad one, lease agreements require special attention. It cannot be overemphasized that a diligently negotiated agreement is going to make your business more profitable. What should customarily go into the lease varies widely on many factors such as class, location and zoning of the property. Even if you understand what should be in the lease, the landlord will likely have a convoluted agreement that makes it extremely difficult to decipher what is being agreed upon. A lot of money is lost due to unfair lease terms. It can make or break a new establishment like almost nothing else in business. Americans with Disabilities Act Compliance: This is often overlooked. There are people who actually drive around seeking out non-compliant establishments to sue. Will the landlord or the tenant carry the risk of compliance? Everything from entrances and exits to the number and types of restrooms will be governed by the ADA. Who will be financially responsible? This is often an overlooked, but very important provision in almost every lease. CAM: Common area maintenance (CAM) charges are one of the net charges billed to tenants in a commercial triple net lease. The landlord will sometimes charge an administrative fee for carrying out the duties associated with this charge. It is usually assessed on all tenants on a pro rata basis. Sounds fair, but consider if there are renovations in the pipeline: repaving the parking lot or replacing the boiler, for instance. If you don’t, then you can be surprised to get a bill the first month or so that dwarfs the rent. Triple Net: In addition to common area maintenance, taxes and insurance round out the three “Nets.” In a Triple Net lease, the tenant agrees to pay the three items in addition to rent and utilities. CAM fees are generally negotiated up front and you want to make sure that you aren’t paying more than is reasonable and that there is reviewability. You want accountability. Knowing what and when to pay in taxes will largely depend on the transparency you negotiated. You want to generally see a tax bill. You want to know when taxes are assessed in order to prepare for the payment. With regards to insurance, you want to have a good sense of what is customary in your industry in your particular location. You don’t want to over-insure or under-insure, it needs to be just right to keep your business lean and profitable. Percentage Rent: Although generally disfavored, sometimes a landlord will insist on a tenant paying, in addition to monthly rent, a percentage of gross sales. It is important to discuss whether a percentage rent is agreeable and what would be customary under the circumstances. A new business with tremendous discounts on the rent may consider, but other businesses may not. Delivering Possession: If you are a tenant, you want the landlord to be on the hook for not delivering actual possession of the premises – in other words, you want a key and access to it and not just some promise to do so. If you are landlord, you don’t want to be on the hook for damages if the current tenant becomes a holdover, for instance. Provisions can be drafted that will fit your particular set of circumstances – perhaps having the tenant waive damages for failure to deliver possession in a pro-landlord lease and detailing damages in a pro-tenant lease could be solutions in the scenarios described. Subassignment: More often than not, a tenant cannot avoid restrictions on subleasing or subassignment in a commercial lease. The parties can often agree, however, to the standard of reasonableness. If the tenant has a strong negotiating position, it can get language that would prevent a Landlord from arbitrarily withholding their consent to sublet. Operation of Business: A tenant may want to discuss with their business law attorney what kind of business hours and restrictive covenants it can live with. For instance, if the landlord demands that you are open seven days a week and you only need to be open five days, then a tenant may want to work that out before agreeing to the landlord’s term. It is common for these agreements to have terms that no one ever expects to comply with. This is dangerous because if not complied with, the provision’s violation can form the basis for a very costly eviction. If you’re a franchise or a chain, you may not want to agree to restrictions on opening similar stores within a radius of miles either. Repairs: Repairs can be very general or very specific. It will depend on what side of the agreement you are on, which means you may prefer a broad and general provision or a specific one. Typically, common areas and structural issues are the domain of the landlord to repair, but the tenant is likely to be financially responsible. Morality: Increasingly, morality clauses are finding their way in ordinary agreements not just sports sponsorships. A landlord will prefer to hold a tenant responsible for its moral conduct and also that of its customers; a tenant will want these clauses removed from the agreement or narrowly tailored so that a tenant isn’t responsible for a customer’s bad behavior off the premises or not otherwise caused by the tenant. Insurance: These insurance provisions must be negotiated by experienced attorneys because they will be aware of what is customary – both knowledge of the limits and the scope of insurance coverage are important and a sure way to cut costs without risking the operation of the business. Restaurants and bars have to buy all sorts of additional policies; alcohol liability insurance or special fire insurance for establishments that allow smoking are special considerations in this area. Indemnification: A tenant will generally protect the landlord or hold him harmless in case of loss arising from its own negligence, but an overreach in most circumstances would be when a landlord insists on the tenant holding the landlord harmless regardless of fault. Indemnifications need important limitations for the tenant. A landlord needs an attorney who knows in what ways his or her client can be flexible and where they cannot. Destruction of Premises: It is in the tenant’s interest to be able to walk away without further obligation in case of total or even partial destruction of the leased premises. The landlord will want to release the tenant only in its sole discretion or after a lengthy period of time. There can be discussion and compromise here even if the contingency is unthinkable or unlikely. Damages: There are different types of damages: compensatory, liquidated, consequential, incidental and the list goes on. Waiving them may be beneficial or not; this will depend on a number of different factors. A landlord and a tenant may both want to limit the types of damages that can be recoverable. Landlords typically favor doing away with consequential damages because they see them as unpredictable. Tenants may want to do away with attorneys’ fees in case a party prevails for breach of the agreement. Jury Waiver: The right to a jury is an important one. A civil jury can use its common sense to dole out justice. Landlords may not want the unpredictability of a jury and a tenant may not even know of the right or its importance. The suitability of a waiver depends on the circumstances of the specific matter. The decision to waive the right to a jury is less important than the mere fact that it’s discussed. When decisions are made on full information, better outcomes generally ensue. And there are tons more to discuss, but this is a snapshot of the important issues that an experienced business law attorney can negotiate to your benefit so that your business, whether landlord or tenant, can really have a shot at succeeding. 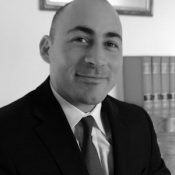 Peter Anthony Jabaly is a Member of Coppola & Jabaly, a law firm based in Alexandria, VA that services small businesses with their legal needs. Jabaly is licensed to practice in the District of Columbia, New Jersey, New York and Virginia.